The new school year has started! 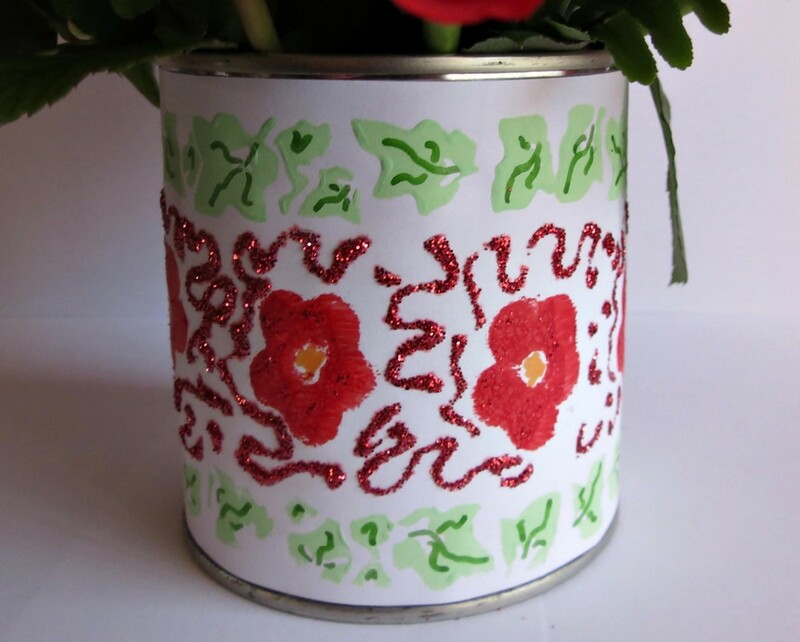 Surprise your favorite teacher with this flower pot, made from an empty tin can. Decorate it according to the instructions given below, using red as the main color, or change the color to suit your teacher's mood. 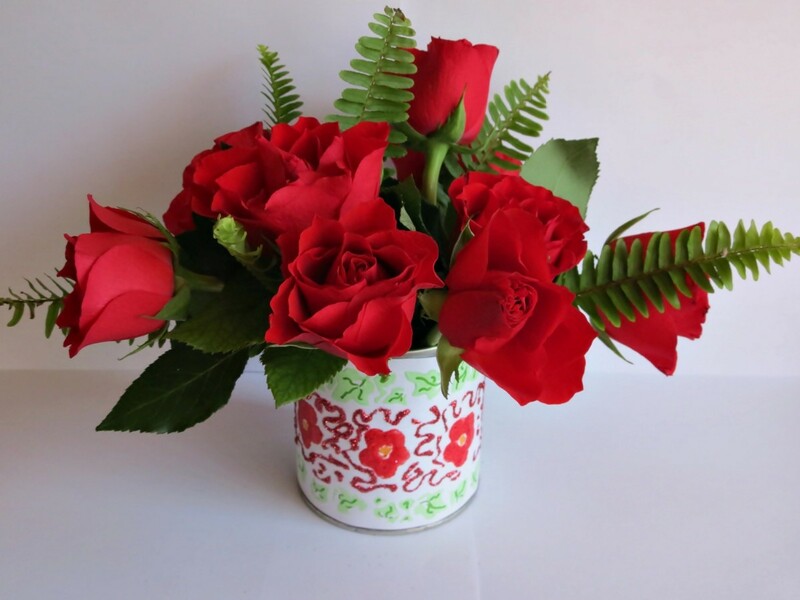 This pretty flower pot will sure make your teacher feels special. Fill it with a few red roses, or add some paper flowers to finish it off. Wash and clean the tin can and allow to dry thoroughly. Measure the distance between the upper and lower lips of the can. 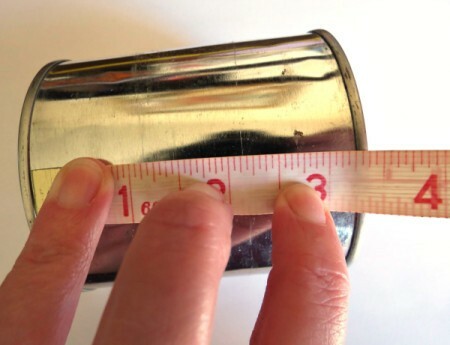 Also measure the can's circumference. Draw a strip matching the can's size on the printer paper. Now use the Jablo border stamp. Use one paint brush to apply an even layer of the lime green paint onto the border stamp. Be careful not to apply too much or too little paint to the stamp, as you will end up with an uneven effect. Press the image onto the top side of the strip and then, carefully lift the stamp so as not to smudge the stamped border. Repeat steps 3 and 4 with the Jablo border stamp until the top and bottom sides of the strip of paper has a border pattern. Use the second paint brush and the true red paint. Apply paint to the flowers on the sponge roller. Roll the flowers over the middle of the strip of paper. Do not lift the roller before you reach the end of the strip of paper. Allow to dry thoroughly and then cut out the strip. Use the Royal Coat Dimensional Magic to draw squiggles between the flowers. Dust with red glitter while the Dimensional Magic is still wet and shake off excess glitter. Allow to dry thoroughly. Use the felt tip pens to add detail to the leaves and flowers. Spray one coat of hairspray over the strip to protect the paper. Add glue to the tin can and glue the strip in place. Add the roses and fern leaves and voila! You are ready to make your teacher happy!